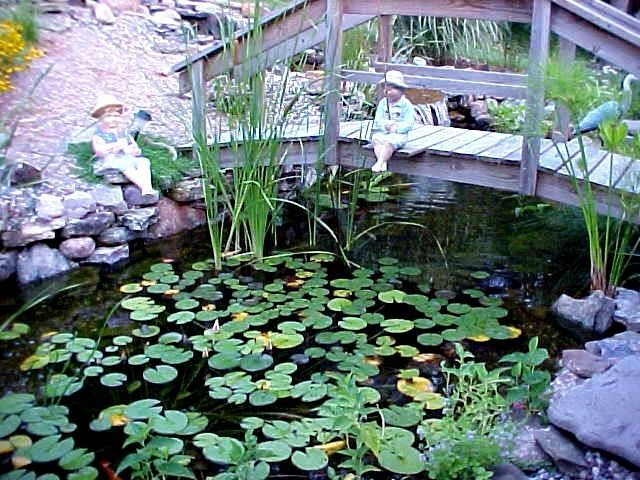 Harold Pohl transformed an unexciting hillside view into one with streams full of waterfalls, and a mill, with the water falling into a pond containing lilies and fish. It attracted wildlife too! 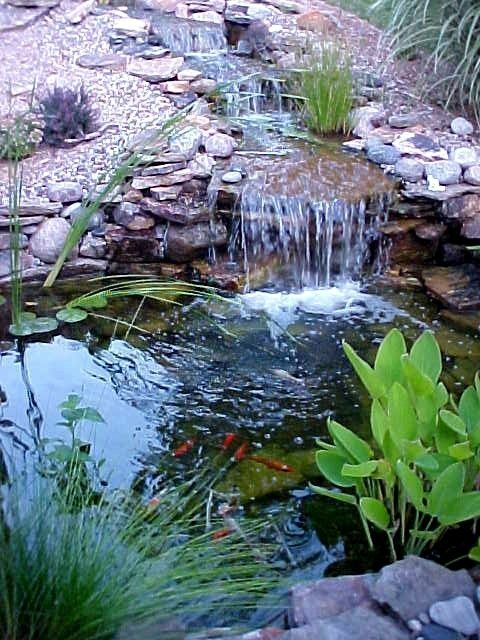 2) Pondless system with a 20′ stream and three waterfalls. 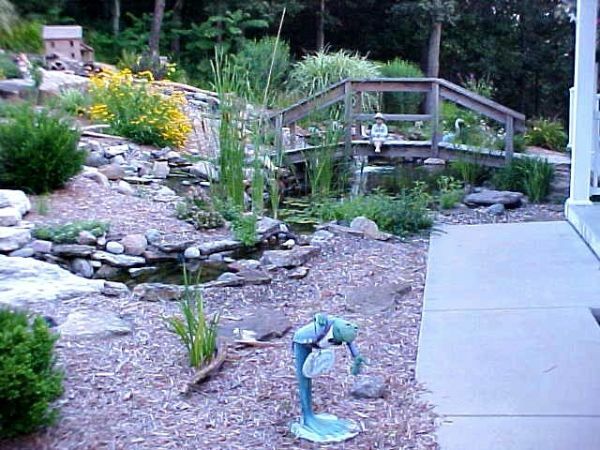 – Equipment: Aquascape systems with two 7500, one 3000 and one 1500 gph pumps. 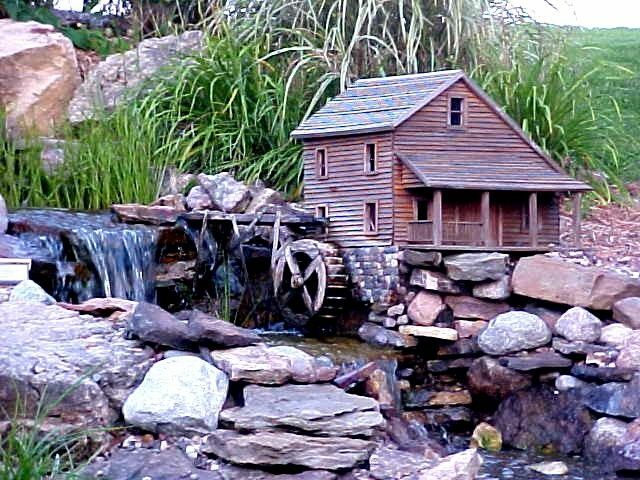 – Special Features: Double stream forming an island with a large pond at the base and a pondless stream with many weathered boulders and tons of weathered field stones, Canadian Cobblers, Rio Blanca Cobblers and Iowa Lake Rocks. Finished with cedar mulch and many plants. My home is in a sloping wooded area and the view from my front window was a hill covered with grass. Not much to get excited about. 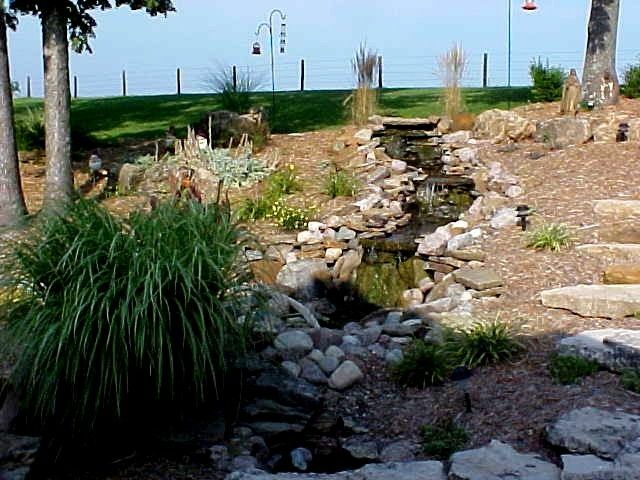 I’d seen some articles on water gardens and contacted Living Water Creations, a local company specializing in water gardens. 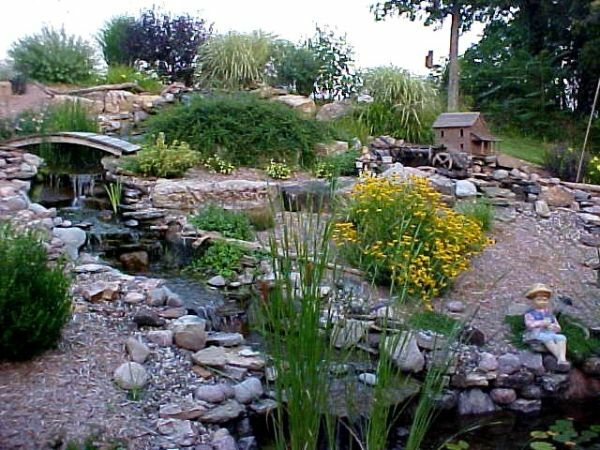 The sloping land was very exciting to them, so together we planned a double stream forming an island with a large pond at the base. 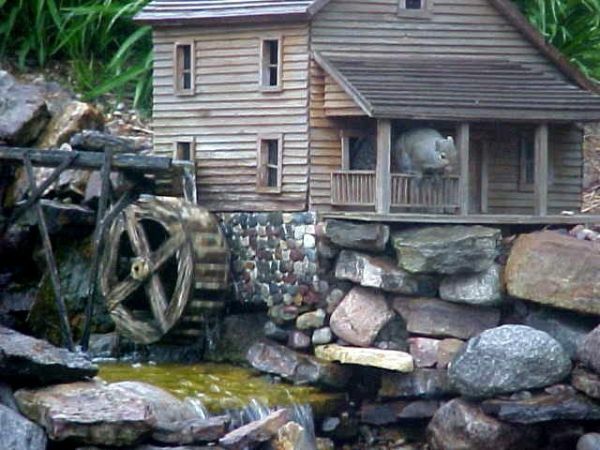 Being in the country, surrounded by woods I have a lot of wildlife enjoying my garden.